Asus Eee Pad Transformer Prime TF700 is remarked as the most excellent Android tablet computer so far, which is equipped with quad-core processor, notebook accessories and the latest Android 4.0. 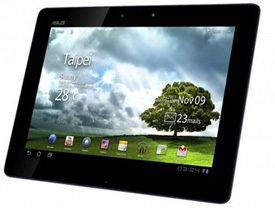 The release of Asus Eee Pad Transformer Prime TF700 indicates that 1080p high resolution will be a measurement standard for Android tablet. This is what we expected: Nokia finally shows its high-end Windows Phone 7 device—Lumia 900, with 8-million-pixel camera and 4.3-inch AMOLED+CBD display. 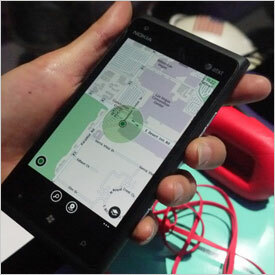 As a part of the last Microsoft CES show, the powerful Lumia 900 maybe a suitable “Goodbye” and it is also what Windows Phone needs. 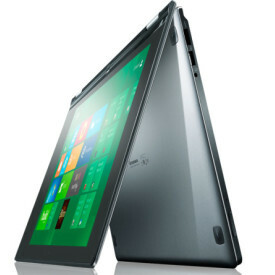 Maybe you have seen the acrobatic show, but you may not meet with an ultrabook like Lenovo IdeaPad Yoga, so thin and with touch screen. You can fold it into a tablet PC or a support. Samsung Series 7 Gamer is the first dedicated game laptop of Samsung. 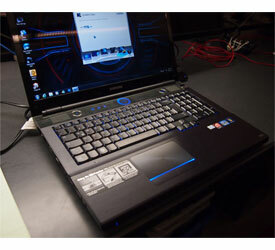 Series 7 Gamer adopts Intel Ivy Bridge Core i7 processor and NVIDIA GTX 675 graphics chip. The outstanding function: you can alternate among four performance modes via the physical switch so as to meet with your requirement. 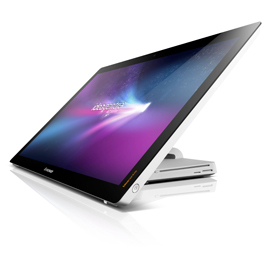 Lenovo IdeaCenter A720 makes the direction of multifunctional desktop PC clear: multi-touch screen, 27-inch display and the hinge joint making display lie flat or spread in inclined angle. IdeaCentre A720 has exquisite human engineering design and complete functions to help you finish the job at hand. In recent years, OLED display has put the tablet display as its future development goal. 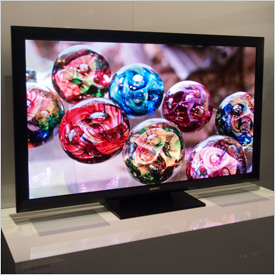 SONY’s new 55-inch LCD screen does not use OLED, but with similar working style which is equally impressive. These technologies have not changed the rules of the game, but like the LCD monitor with LED backlighting, they may become our HDTV, smaller, lighter, brighter, more colorful, more environmentally friendly. The best home theater/audio-visual product on CES this year is not blu-ray player or set-top box but a part called Google TV software. It was released on CES. In fact, Google TV should release it on last year’s CES. Google TV software will be adopted by Vizio and LG’s high-end smart TV together with Vizio and SONY’s new set-top box and blu-ray players. 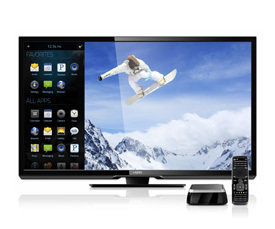 Samsung will join Google TV, although it has not released the specific product. Intelligent TV landscape has been disconnected, every important company in the industry have used their own application ecological system. If you have more than one HDTV manufacturer’s actual support, Google TV may be a unified system for connecting HDTV. 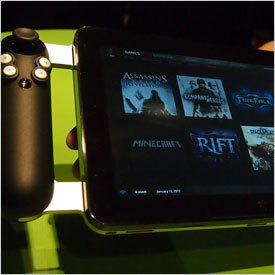 The new game tablet of Razer is not like the ones you have ever seen. It is not running on Android or another tablet computer system but Windows 7. The joysticks on both sides imitate Razer Hydra motion control system. It is expected to cost $1000 and if it is put into the market it may receive great popularity. Even if Nikon D4 is the most impressive and the most expensive one on CES for its high technologies, it is not the best one yet. 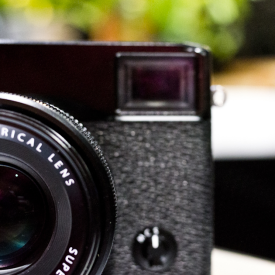 The best one goes to Fujifilm X-Pro1. When looking from the front side, it looks like a range finder in the 1970s. New X-Pro1 adopts the exclusive 16-million-pixel APS-C X-Trans CMOS sensor; Surface RGB pixel adopts 6 x 6 random arrangement, and no low pass filter. In addition to the new sensor, X-Pro1 also adopts EXR Pro image processor, a new X camera and mixed multiple viewfinder, what are released simultaneously including three high-quality optical lens with more natural images and clarity, and there is no ware. X-Pro1 also gives out a hint to other non-reflector design, including the retro-style Olympus PEN series. 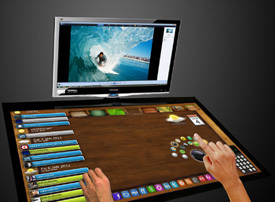 This type of interactive desktop is written with THML5, equipped with an external PC along with Intel Core i7 processor, running on Windows 7 operating system. It is similar to Microsoft Surface desktop, with a HD screen. In order to enrich user experience, EXOPC also allows users to download other applications from EXOstore, such as background, theme and other interactive elements to definite user interface.